Here at Rose Gardening World, we’ll educate you about the Rose - our National Floral Emblem and the state flower of several states. Welcome to Rose Gardening World where Rose Gardening Tips, Rose Growing Advice, Planning a Rose Garden, Rose Descriptions, Where to Buy Roses, Where to see Rose Gardens, Rose Culture, Rose History, Rose Events, Rose Verses are all here in one place. We are constantly updating our contents so visit Rose Gardening World often and be a follower. We want to help you grow Beautiful Roses and we welcome comments. Take time and smell the roses. Happy Rose Gardening! Are you practicing organic rose gardening? 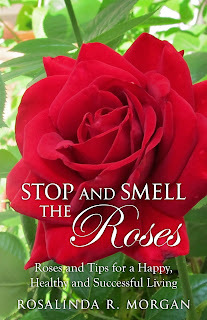 Here is an organic rose gardening tips that might be of interest to you. You can make your own insecticidal soap by adding two tablespoons of a vegetable-oil based liquid soap such as castile soap to a gallon of water. Don’t use laundry detergent or liquid dish soap, which may contain dyes and chemicals harmful to your plants. To maximize the effectiveness of insecticidal soap outdoors, spray early in the morning when the plants are still dew covered. Avoid spraying at midday in the hot sun. The soap will dry before it can work. Whether you are using the spray outdoors or indoors, make sure to douse both sides of the leaves.